Today comes news that longtime Web Content & Experience Management vendor Sitecore will acquire upstart Digital Asset Management vendor Stylelabs. RSG has covered both vendors since practically their inception in our WCM and DAM evaluation research streams. Here's three quick takeaways. Both vendors will stress that they share common roots in Microsoft technologies, but you have to go pretty far up the tree (or down the stack...), to find where they intersect. Sitecore is an unusually proprietary (if very powerful), .NET-based platform built for the on-premise world, struggling a bit to cloudify. This is less of an issue for Sitecore's mostly higher-end licensees who typically want a single-tenant instance they can heavily customize in an IaaS environment anyway. Stylelabs in contrast was built to run natively in Azure as a SaaS environment. For better or worse the vendor maximizes available Azure services in lieu of building expansive capabilities itself. Unlike Sitecore, Stylelabs favors tweaking by configuration rather than customization. It's less extensible, but also less developer-intensive than Sitecore. Because of the substantial technical differences, Sitecore is likely to leave Stylelabs separate and intact, though licensees of the latter should beware Sitecore salespeople trying to cross-sell a much more complicated WCM environment. The better news is that, like many DAM vendors, Stylelabs suffers from a somewhat weak institutional base and immature ecosystem. Sitecore could help them beef up both, with reasonably well-respected (if finicky) tech support operations, and deep experience building global customer and developer ecosystems. Sitecore has always been DAM-agnostic and steered customers to a handful of favored partners. In many cases, these other vendors may prove a better match than Stylelabs, particularly for licensees focused mainly on supporting images for websites, where Stylelabs will prove overkill. Prospective Sitecore licensees will want to be careful about not getting forced to license Stylelabs — recall that Sitecore has a history of overbundling disparate services — and instead make sure they find the best fit for DAM going forward, including potentially simpler solutions that might also present a tighter architectural match. It's possible that Sitecore has acquired Stylelabs to learn how to transition a legacy codebase to the cloud, much the same way that Microsoft bought Yammer for the latter's SaaS experience, and not the actual microblogging technology, which Redmond never really respected. Also, Sitecore wants to compete with Adobe, and Adobe sells a DAM, albeit a not very powerful one. More likely, I think, in a DAM marketplace craving more mature vendors, Stylelabs figured out the only way to truly grow up was to attach to an existing adult, and Sitecore proved the most willing adoptive parent. 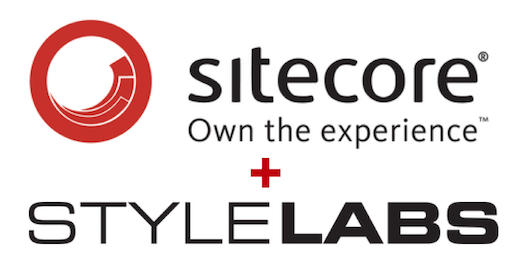 So, as a Stylelabs licensee, this is a good thing; for Sitecore customers, it's a mixed bag. RSG licensees with "plus" subscriptions our DAM or WCM streams are welcome to schedule an advisory call (login required) to explore in more detail. "Thank you for bringing something like the Digital Asset Management Research to the market. It's worth every penny."